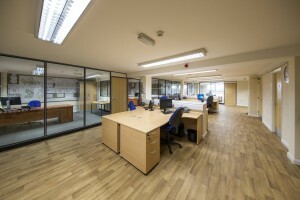 D Brown Building Contractors Ltd have just completed the re-design of their offices in Moulton Seas End near Spalding. 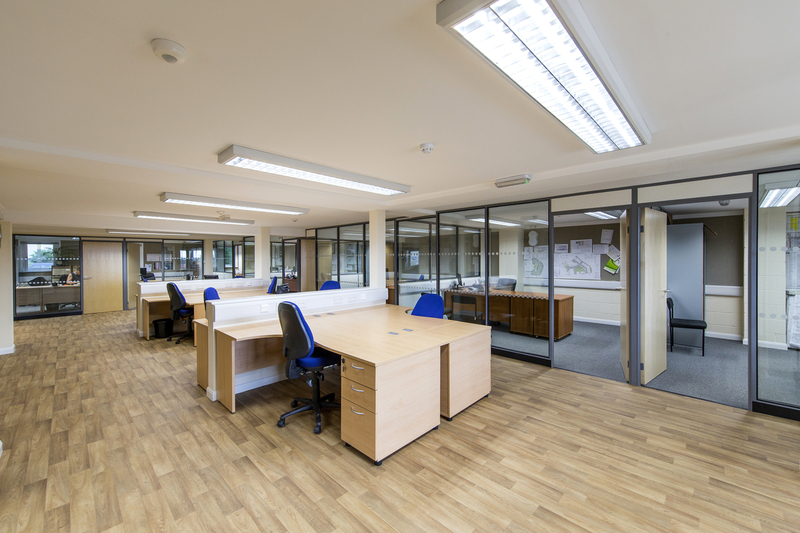 The New design creates a modern and light working environment as well as creating additional working space for the expanding workforce required with the exceptional growth encountered over the last 3 years. Des Ford, Managing Director, said the office transformation will provide both the right working environment, together with the much needed space to allow D Browns to forge ahead with its growth plans within the local economy. It will provide a great base for local people to work in a professional environment. Kurt Mason, Financial Director, said this significant level of investment within the locality shows the D Browns are committed to both the provision of local employment and growth within the local area. 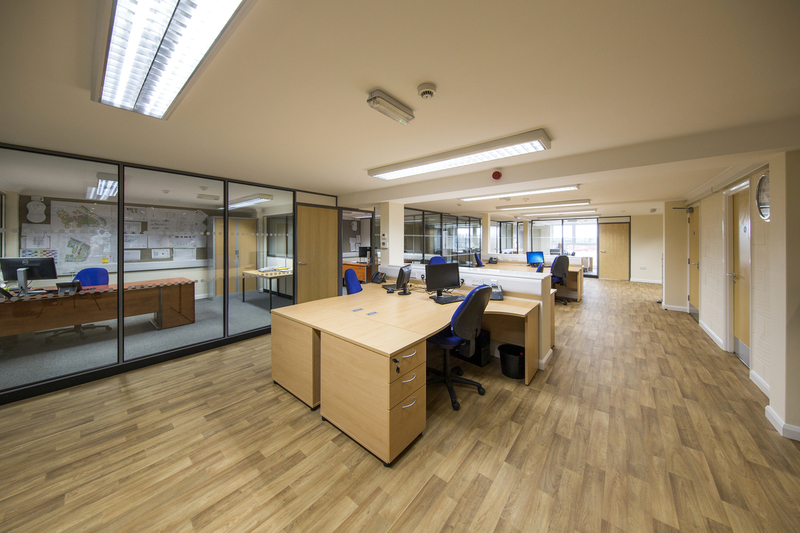 The new offices now feature all of the cutting edge technology that will ensure that D Brown Building Contractors Ltd will continue to provide for its client’s needs, and be able to adapt to any changes within the industry. All of the work was undertaken in house, and is as such a show case to the level of quality that we deliver. 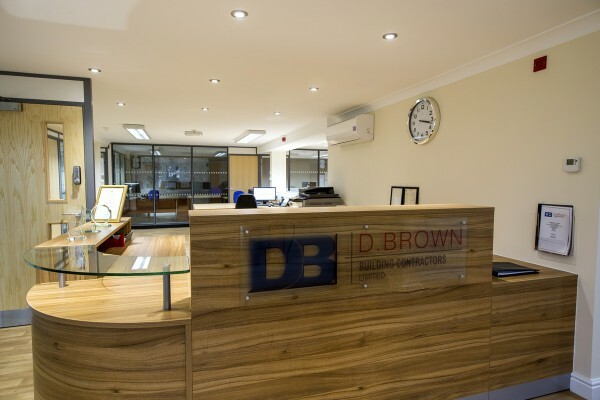 D Brown specialises in residential and commercial construction, building maintenance and refurbishment, contracting, regeneration work and heritage building restoration throughout East Anglia and the East Midlands.